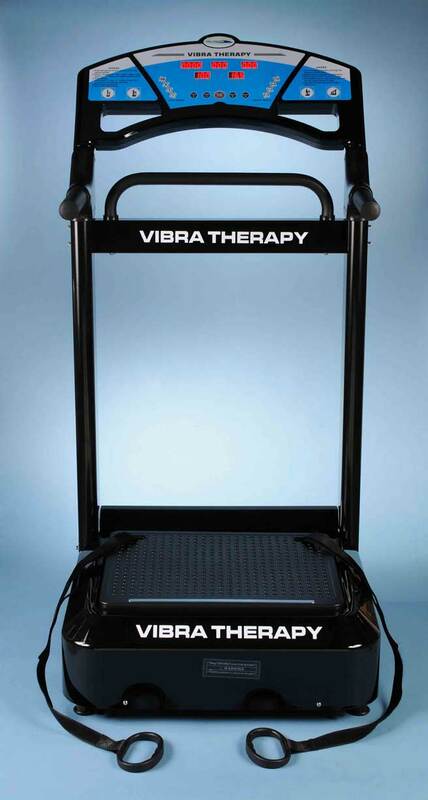 Our Professional Vibra Therapy machine has all that you expect from a gym-quality exercise machine. Equipped with Pivotal vibration movement, a full digital display that shows the number of vibrations, speed levels (1-50), how many calories burned, distance traveled and much more. The side support rails are durable and strong to help maintain balance. 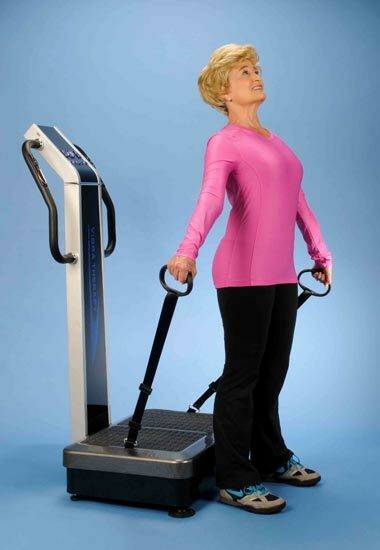 This model also includes detachable arm straps for strengthening and massage of the arms and shoulders. It also comes with wheels, so you can roll it effortlessly. 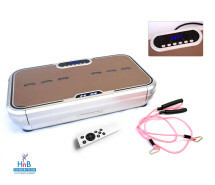 Tags: fitness, for men, for women, massage, safe for adults over 65, therapy, vibration machine, weight loss. 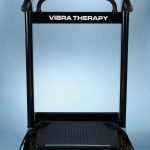 How often can/should the Vibra Therapy machine be used? 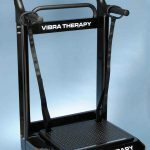 Up to ten minutes a day twice a day, 3-5 times a week is the recommended usage to enjoy the benefits of whole body vibration. The intensity level of your workout will depend on your goals and current fitness level. 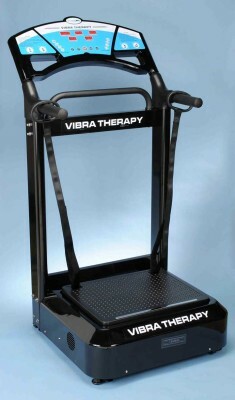 We bought 4 of these for my gym and it is always being used. We need more! Can you give us a discount if we buy 10 or more? Please let me know. 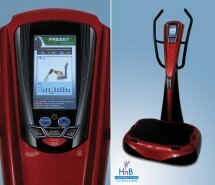 I’m a personal trainer and I love this machine. I don’t use as much because I’m a body builder but I work out all of my clients on it. They love it and want one for themselves, but I tell them they only sell to gyms 🙂 I think the jig is up now 🙂 Thank you, highly recommend durable and easy to use. LUV LUV LUV IT! so much fun and I’ve lost 5 pounds in a week. Thanks Rossi for introducing me to this! 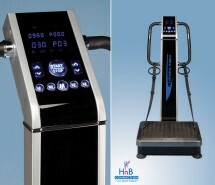 I’ve never had a workout machine like this. I get on it every morning and every night, for just 10 minutes and I think I’ve lost around 25 pounds in the last 45 days. 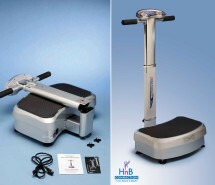 I’m also eating healthier, so that has helped too, but it all started after I started using this machine. I love it. I’m so glad this doesn’t take up too much space. The multiple options and programs make working out fun and easy. I recommend it to anyone who doesn’t like to workout, but wants to get in shape. Wow, this is a solid piece of equipment. So easy and fun to use. I got it for myself, but everyone is using it. My wife, son and his wife, even my neighbor got one after he tried it. Thanks Rossi, so glad we met you at the show! I can’t believe this actually works. I’ve lost 5 pounds in a week. It really is amazing. don’t know why gyms don’t have this. Yes we do offer financing. Please click here for Paypal financing option. This is really cool. Think I’m gonna get it. Is there a smaller one? Yes there are 3 other smaller models.